Just gotta make it through two more games before the TOC. I’m thankful Charles gave us a game to write home about! He’s got a pile of cash sitting in front of him. It’s a fight for second. 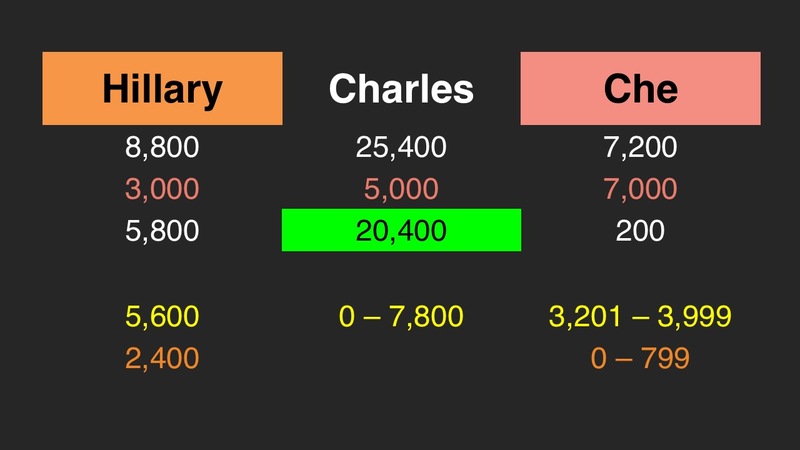 Charles has it locked up, and can wager up to 7,800. Hillary should wager 5,600 to cover Che. 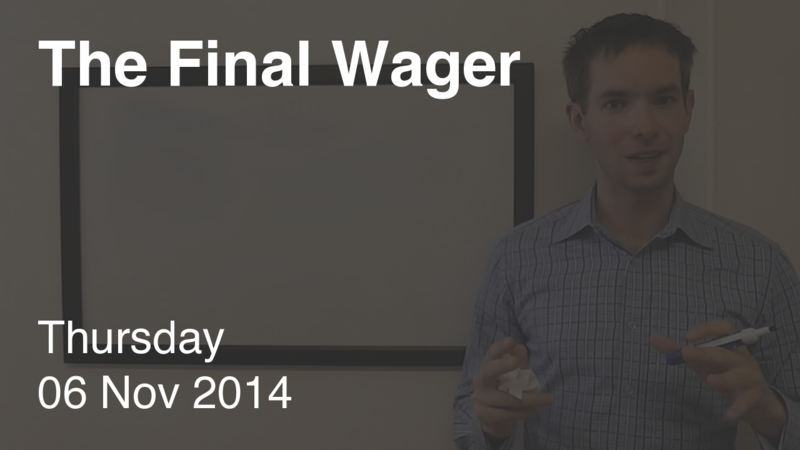 Che should wager at most 4,000 (make that 3,999). If Che gets it right with a 4,000 wager, she will have 11,200, so Hillary might consider wagering 2,400 to cover that possibility. In response, Che could wager up to 800 (really, 799). If she chooses that higher range, Che should wager at least 3,201 to cover an “unsafe” Hillary wager. Che would have taken second on a double-get, but instead her large wager costs her on the double-miss.